To support appreciation for and development of the Library staff. Section 2. 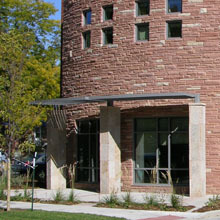 Mission Statement: To support and advocate for the Loveland Public Library and its mission “to inform, enrich and inspire a strong, engaged community”. The Friends generate current and long-term funding through volunteer involvement. Section 1. Membership shall be open to all individuals, businesses, and organizations that support these purposes. Section 2. Each member shall be entitled to one vote. Section 3. Annual dues and categories of membership shall be determined by the Board of Directors. Section 1. There shall be an Annual Meeting of the membership for the election of the Board of Directors and the transaction of other business, including annual reports by the Board of Directors and committee chairpersons. It shall be at a time and place determined by the Board of Directors. Section 2. Special meetings of the membership may be called by the officers of the Board or by written request of 10% of the members, upon 10 days’ notice. Section 3. All meetings of The Friends Board of Directors are open to all members for information and discussion, although only Board Members may vote. Section 4. For voting purposes, a quorum is defined as more than 50% of the Board of Directors. c. If the president receives a written demand by a director that such action not be taken without a meeting, the board must hold a meeting to vote on the action. Section 1. The Board of Directors shall manage the affairs of The Friends between Annual Meetings and shall direct disbursement of funds. It shall fill by appointment any vacancies, whether temporary or long term, occurring in any office or position on the Board of Directors. Such appointments shall continue as needed until the next annual meeting. Section 2. The Board of Directors shall consist of the following: four officers (President, Vice-President, Secretary, Treasurer); no less than three nor more than seven Members at Large; and the past president. Section 3. The officers of the organization shall be elected by the Board of Directors at the first board meeting following the annual meeting. The expectation is that officers shall serve a minimum of two years. Section 4. Board members shall be nominated by a Nominating Committee preceding the Annual Meeting. Such nominations shall be presented to the membership prior to the Annual Meeting, and nominees shall be elected by a majority of the members present at the Annual Meeting. Section 5. If elected, Board members shall serve for three year terms, and may be re-elected. The Board membership shall be grouped into staggered terms so that one third of the Board membership is elected each year. Section 6. Each Board member shall be expected to take an active role in the work of the Foundation. Board members attendance is required at all Board meetings. Three absences without cause will result in termination of Board membership. Time and frequency of the Board meetings shall be determined annually. Section 1. The President shall preside at all meetings, appoint all committees, and carry out any other duties connected with the office. Section 2. The Vice-President, or an appointee of the President, shall assist the President and, in case of the absence of the President, shall perform the duties of the President. Section 3. The Secretary shall record the attendance at all meetings, record the minutes of all proceedings of all meetings, and shall be responsible for preservation of all corporate records, excluding financial records. Section 4. The Treasurer shall be the custodian of the Foundation’s funds, and administer all funds as directed by the Board of Directors. The Treasurer shall keep all financial records, shall make regular written reports to the Board of Directors, and submit an Annual Report to the membership at the Annual Meeting. The Treasurer shall prepare and submit any reports required by law. The Finance Committee shall consist of the Treasurer (chair), President, one Board Member at Large, and additional members as deemed necessary by the Treasurer. The Finance Committee shall be responsible for developing and reviewing fiscal procedures of The Friends and the annual budget with input from staff and other Board members. Regular reports shall be submitted to the Board showing actual and accrued income and expenditures. The Finance Committee shall work closely with the Fund Raising Committee. The Fundraising Committee shall consist of the President, Vice President, at least one Board Member at Large, and at least two members of The Friends. The Fund Raising Committee shall plan, develop, implement, and supervise all major, long-term fundraising activities, including capital campaigns, charitable bequests, and deferred contributions. The Fund Raising Committee will receive reports from other fund-raising activities of The Friends. The Membership/Volunteer Committee shall consist of one Board Member at Large, the Membership Secretary, the Volunteer Coordinator, the Database Manager for Volunteer Hours, and other members of The Friends. The Membership/Volunteer Committee shall be responsible for recruiting and retaining members, and for maintaining the membership list and a current membership brochure. It shall provide a membership card for each member unit. It shall be responsible for involving members as volunteers and for nurturing, recordingm and recognizing volunteers. Section 2. Other committees shall be created as needed. Members and chairs of the committees will be appointed by the President, with the approval of the Board of Directors. The duties and tenure of the additional committees shall depend on their purpose. Section 3. Committee reports shall be presented to the membership at the Annual Meeting as needed. Section 1. These bylaws may be amended at any membership meeting of The Friends by a two-thirds vote of the members present, providing that notice of such proposed amendments shall have been sent to all members at least 10 days before said meeting. Section 1. Roberts’ Rules of Order Revised, when not in conflict with these bylaws, shall guide the proceedings of The Friends. Section 1. In the event of the dissolution of The Friends, the Board of Directors will be responsible for paying all outstanding bills and distributing any remaining assets to the Loveland Public Library.